Volkswagen Cross Polo in its bolder avatar is all set you to take on an exciting ride. This stunning car aims to thrill its buyers with impressive appearance and prominent exterior as well as interior package. 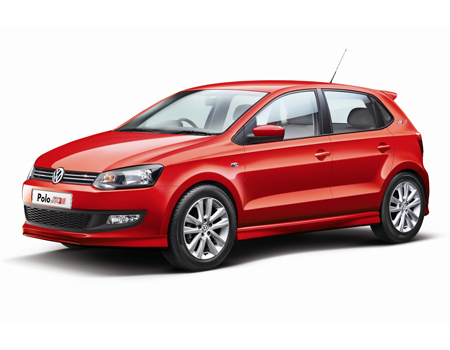 In next few weeks, the manufacturer is about to launch the face-lift version of Polo cross upgraded with some cosmetic and comfort features. With new stunning design additions, and thoughtful touches gives this compact car a distinctive appeal. The protective bumper and powerful dual-beam headlamps in black finish provides an appealing impression to this car. Its muscular silver rood rails is considered as one of the coolest addition of this car, while adds to its aesthetics. For a confident ride, this hatchback by Volkswagen comes outfitted with 15-inch alloy wheels comprising the tire specifications as 185/60 R15. Overall exterior dimensions of this car measures as 3987 mm x 1698 mm x 1483 mm (L X W X H) and the standard wheelbase is about 2469 mm. What to opt for: The prominent hatchback, new Volkswagen Cross Polo comes equipped with basic exterior parts, therefore getting a complete insurance of your vehicle will provide you a maximum peace of mind. Passenger coverage is also an available option for your convenience. Inside, the new Cross Polo has more compelling outline with premium touches. The sporty steering wheel mounted with number of controls and powers provides the driver an effortless driving experience. Smartly re-designed music system in the centre console let you drive the car with your favourite tracks. Alongside, it has got climatronic air conditioning system right next to the music player which creates a soothing environment for the passengers. For storage, this car has got 560 litres of boot compartment which can be expanded up to 820 litres for your convenience. What to opt for: New Volkswagen Cross Polo is designed with exclusive interior package which comprises many aspects like advanced music system, air-conditioning system, comfortable seating, power steering etc., hence an insurance for all the exclusive aspects will turn into an effective solution. In case of any collision, the passenger coverage will serve the buyers better. Volkswagen Cross Polo competes with Hyundai i20 Active and Maruti Swift in Indian market. When it comes to the confidence and assurance, the liable and collision coverage will be a good decision for your loved ones.